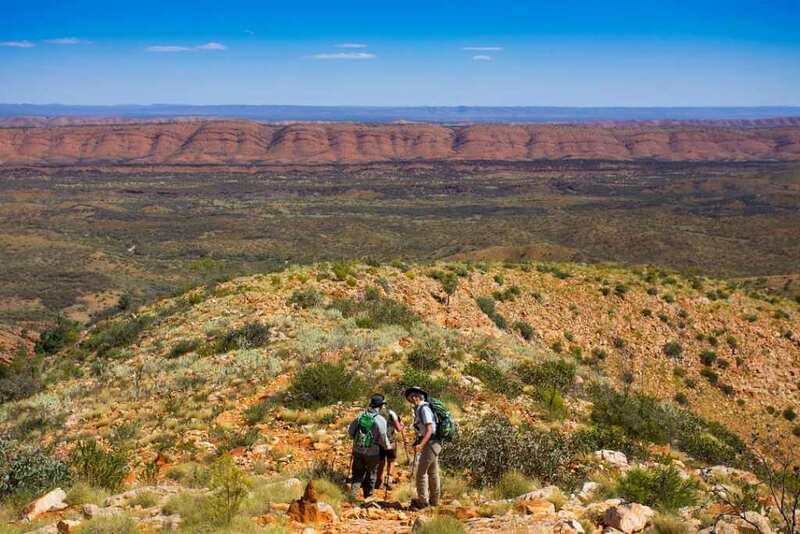 Our Australia Tour Packages give you the opportunity to visit the Western MacDonnell Ranges during your stay in Alice Springs. Head west on Larapinta Drive alongside the ochre coloured Western MacDonnells, and pass John Flynn Memorial at the foot of the Mt Gillen and the remains of the twin ghost gums painted by Albert Namatjira. Continue on your West MacDonnell Ranges tour to Standley Chasm, a striking deep red cleft that glows with reflected sunlight. You will get the opportunity to walk into the Chasm along the Angkerle Creek bed before enjoying morning tea at Standley Chasm. Next stop in the West Macdonnell Ranges National Park is Ellery Creek Big Hole where again you will take a short walk along a creek bed to the cool waterhole below a steep rocky escarpment. Continue to Orchre Pits before visiting Glen Helen Gorge, a semi permanent waterhole. Following lunch visit Ormiston Gorge and waterhole where you will have time to relax and even take a refreshing swim depending on the time of year. In the afternoon you will stop at Simpsons Gap where rich ochre coloured rock walls rise from a sandy creek bed. Look for black footed Rock Wallabies along the rocky base and eagles, kytes and falcons soaring in the thermal currents above the Western MacDonnells. All in all, a fantastic day spent in Alice Springs.